Today is the heart day or we shall say Happy Valentines Day to all. Since Valentines Day is just around the corner, I am now sharing some Valentine’s Day text messages which you can copy and send to your loved ones. I miss you when there’s no reason. How much more if there was? I miss you when we talk, how much more if we don’t? I miss you after we’re together, how much more if I see you never? I miss you now, how much more later? Happy Valentine’s Day! Love doesn’t make the world go round. Love is what makes the ride worthwhile. Happy Valentine’s Day! To love is like playing the piano. First, you play by the rules. Then, you must forget the rules and play from the heart. Happy Heart’s Day! Stay still be quiet and listen to your heart. Then, when it speaks, get up and go where it takes you. Happy Valentine’s Day! Loving you was inevitable. Forgetting you is impossible. Happy Valentine’s Day! My lips want to kiss you. My eyes want to see you. My hands want to touch you. Every part of me wants you, maybe, because I was made just for you! Happy Valentimes Day! You must be a thief because you stole my heart. You must be tired because you are always running through my mind. And maybe, I’m a bad shooter because I keep missing you. Happy Valentine’s Day! You may not see me the way I see you. You may not care for me the way I care for you. You may feel nothing for me even if I fell so much for you. And you may never ever love me even if I’ll always be here, loving you. ValentineS is not only 4 lovers.. This valentine, make sure you send the one you love a basket of flowers, buy her a box of chocolates and tell her you love her very deeply. Legs : to kick you if u ever forget me!! Will U Be my valentine???? How to spend Valentines Day? 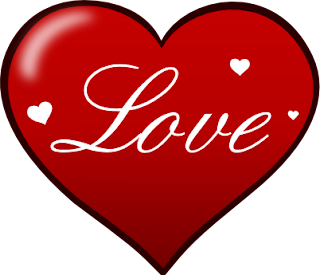 Comments or suggestions about "Happy Valentine Day Text, Valentine Wishes, Love Greetings, Quotes, Messages" is important to us, you may share it by using the comment box below.